Note that we have two separate guest suites. You may rent either one or both. Rental rate is $1,400 per week for each suite and $2,400 per week for both. Contact us directly to rent both. You can find out more by searching for The Promised Land Leland in your web browser. Lovely gardens surround the house, adding to its air of peaceful tranquility. Golf courses and water sports nearby. Many restaurants and wineries within 30 minutes of the property. Local attractions include historic Fishtown in Leland.The Carriage House has two guest suites. Each suite has a bedroom, private bath, and living room with kitchenette. One suite faces east and has a view of Lake Leelanau. The other faces west with a view of Lake Michigan. Both suites have their own private balcony.The Carriage House suites may be rented separately. I grew up in South Carolina spending summers on the Isle of Palms which I dearly loved. But then I married into this wonderful family in 1974 and was introduced to the wonders of the Leelanau Peninsula. Have been enjoying the area with our family since then and wouldn't dream of missing a summer here! This property is so lovely, sitting on 4 acres overlooking Lake Michigan, steps down to the beach, water sports nearby, great side trips to Sleeping Bear Dunes, Traverse City, Northport, Glen Arbor. Fabulous wineries and restaurants within 2 to 10 mile radius. Hiking trails nearby, boating, paddle boarding, swimming, you name it. After a day of adventuring, relax on one of the two decks or on the stairway deck with a glass of wind and a spectacular sunset. Magnificent sunsets over Lake Michigan. On a high bluff overlooking Lake Michigan with stairs down to a private beach. We spent a week in Leland in late August, and this place was perfect for us (2 adults & a young toddler)! The rental unit was clean and comfortable and in a great location to explore the Sleeping Bear Dunes, Leland, Suttons Bay, and more. The owners made us feel right at home and encouraged us to explore the property, which includes incredible views from a bluff overlooking Lake Michigan and several flights of stairs down to a private shoreline. We can't wait to return! Thanks so much for your kind words. Always a blessing to know others find "the Promised Land" as special as we do. We look forward to seeing you again. We stayed in the East Guest Suite and could not have been happier. The property is simply gorgeous. We enjoyed the beautiful sunsets and sunrises as well as fantastic star gazing. 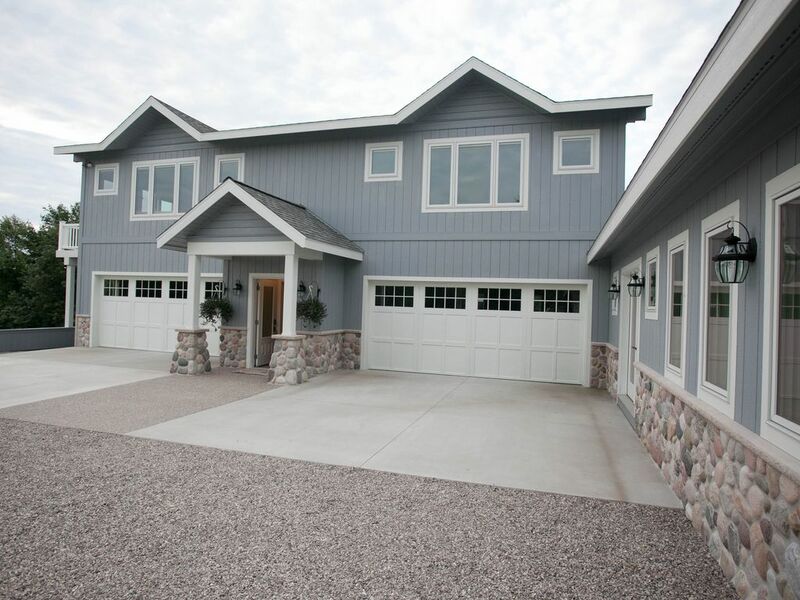 The location is close to all that Leelanau County has to offer, yet you feel a million miles away. The owners were not at the property when we were there but they were very responsive with communication and our stay was uneventful. We will be back! Tammy--thanks so much for your kind words. Glad to see you like this special slice of heaven as much as we do and look forward to welcoming you for future visits. We rented this property for the month of July and couldn't have been happier! The owners were so welcoming and the property couldn't have been more picturesque, with views of both lake leelanau and Lake Michigan. Highly recommend this rental! Thanks, Warren. It was a joy to have you. Located in the heart of the beautiful Leelanau Peninsula in Norther Michigan, the area affords several golf courses, dining facilities, both causal and fine, boating, winery tours, kayaking, swimming, hiking trails, not to mention the Sleeping Bear Dunes National seashore a short 45 minute drive from Leland.